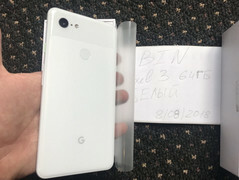 New images and an unboxing video of a production unit of the Google Pixel 3 XL have surfaced online. 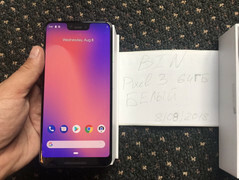 The Pixel 3 XL appears to run on Android 9 Pie and features the Qualcomm Snapdragon 845 SoC with 4 GB RAM. 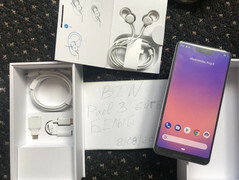 While the Pixel 3 XL lacks a headphone jack, Google appears to have compensated for the same by bundling a set of USB-C earphones in the box. 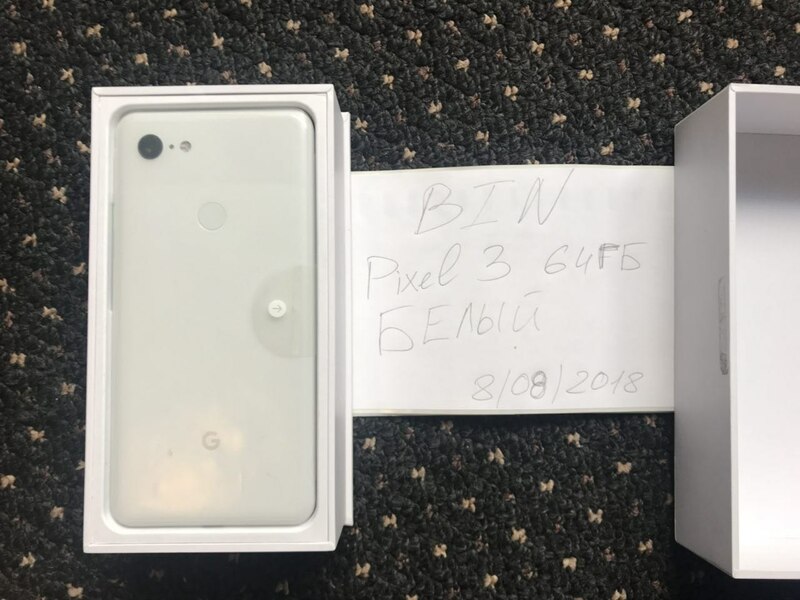 The upcoming Pixel 3 XL is probably not Google's best kept secret. 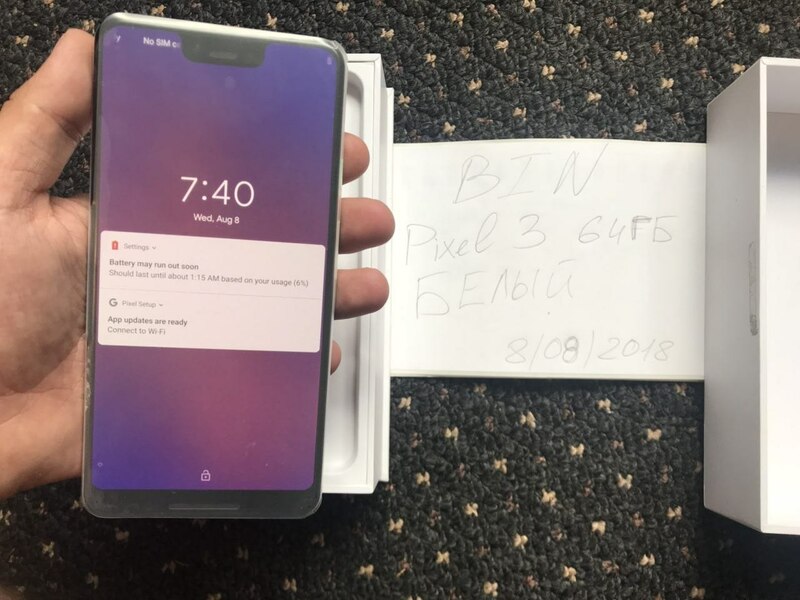 We've been seeing renders and leaked images of prototypes over the past few weeks but this is probably the first time we are seeing the actual production device in flesh thanks to a Ukranian tech blogger who leaked the images and an unboxing video on his Telegram channel. He says that it is a final production unit but doesn't disclose his sources. 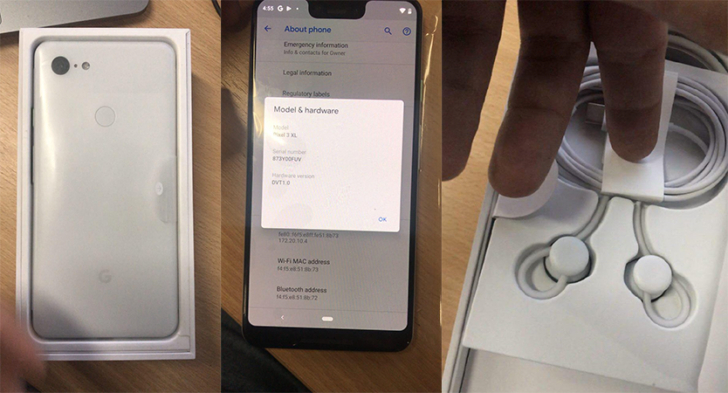 The handset is expected to be unveiled this October, so in all probability this is it. The exterior looks are not too surprising at this point. 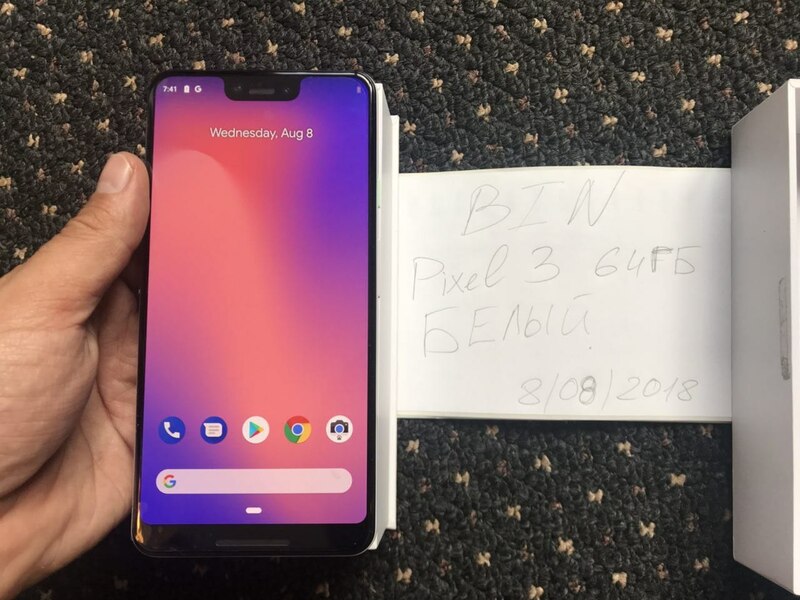 We've known that the Pixel 3 XL will sport a notched 19:9 display and according to the pictures, the screen has a resolution of 1440 x 2960 with a pixel density of 494 PPI. 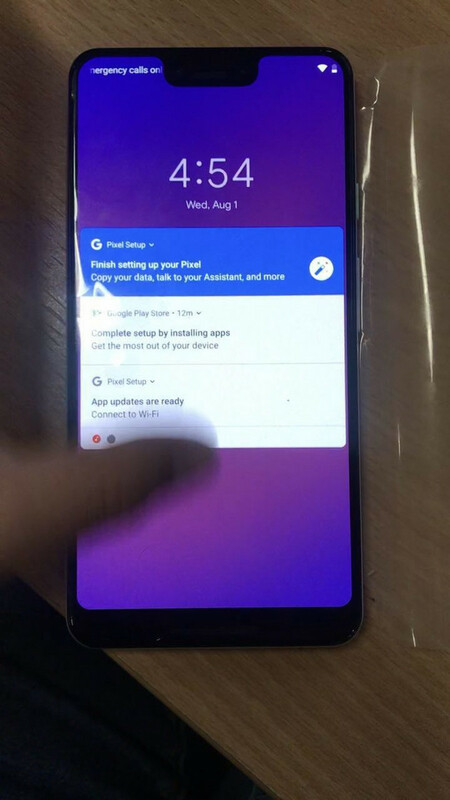 Android 9 Pie has been developed with the notch in mind so apps can be expected to nicely scale for such displays. There appears to be a light green Power button unlike the orange button on the Pixel 2 XL. On the rear we have a single-lens camera along with an LED flash and a fingerprint sensor. The Pixel 3 XL is powered by a Qualcomm Snapdragon 845 SoC with 'just' 4 GB RAM. 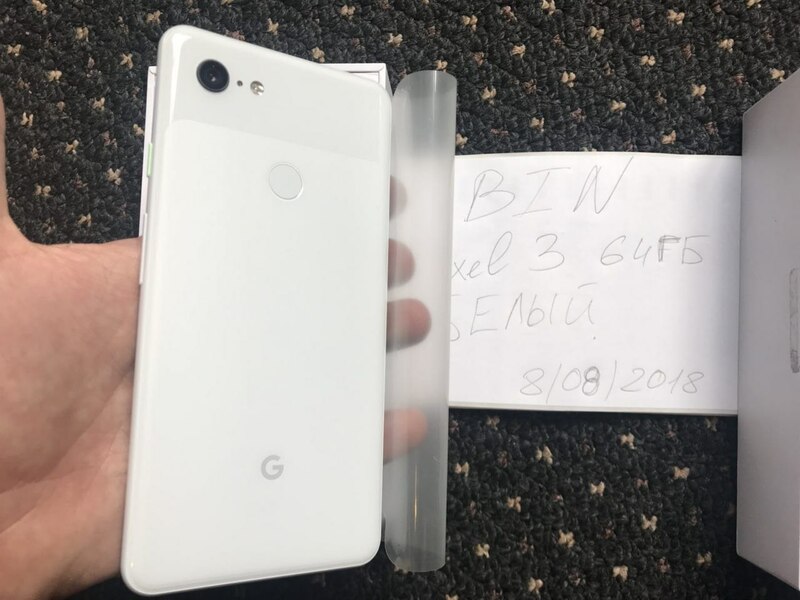 While competing flagships might offer 6 GB and even 8 GB variants, it might be an overkill for the Pixel-series considering that they run tightly optimized stock Android. The pictures also show the homescreen sporting Android 9 Pie's slider bar for invoking the new multi-tasking and navigation UI. The default wallpaper also bears an uncanny resemblance to the one in the iPhone X. 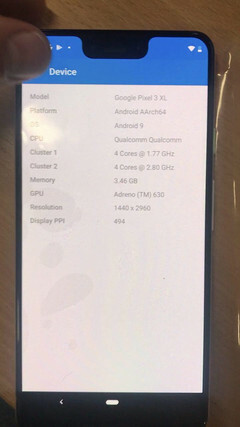 As pointed by a reader over at Android Police, the camera app icon on the homescreen has a dogfood notation implying that this phone could have originally belonged to a Google employee for testing purposes. 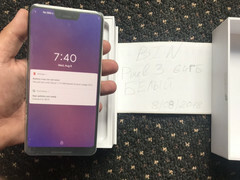 The Telegram channel also has an unboxing video (available via the Source link) showing what is available in the box. There is a charging brick and cable along with an USB Type-C to 3.5mm adapter. A welcome addition is the inclusion of wired USB Type-C earphones in the package. Let's just hope that Google sticks with this idea till the final reveal. 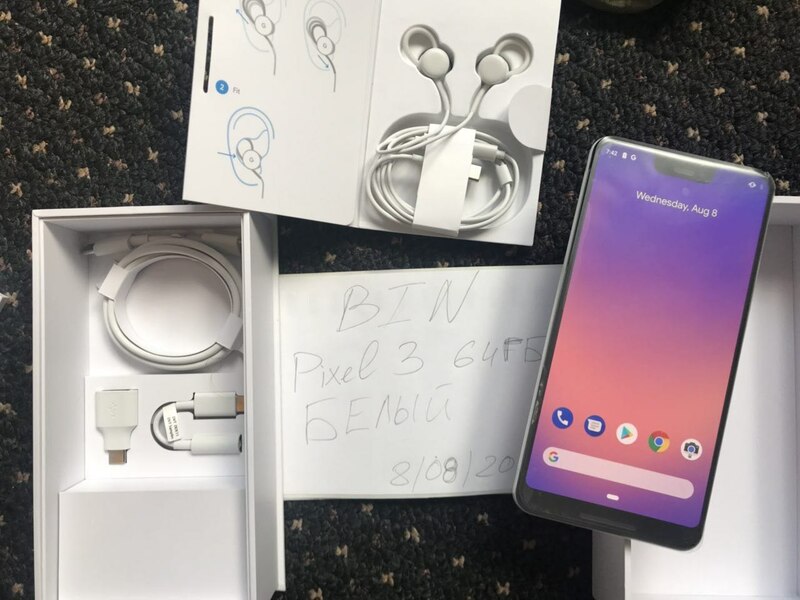 What do you think about this Pixel 3 XL leak? Let us know in the comments below.